If this doesn’t sound familiar, perhaps you should take a look at the rising anti-gay hysteria going on in Russia since Vladimir Putin enacted the Russian LGBT Propaganda Law which claims to “Protect Children from Information Harmful to Their Health and Development” but in has since led to an increase and justification of violence against LGBT people. To be clear, these laws have nothing to do with family or children. These laws are meant to scapegoat gays in very much the same way Germans scapegoated Jews and other “undesirables”. The following is a collection of quotes and links compiled from around the web that shine a light on the forgotten victims of nazi terror. By now, most people are familiar with the Pink Triangle which, along with the Lambda and the Rainbow Flag, is a symbol for LGBT pride. But it has a dark history, one that isn’t taught in school. I remember a teacher talking about nazis exterminating millions of Jews and “others“, as if the others were an insignificant footnote of world history. When pressed, he explained that the ‘others’ were made up of gypsies, socialists, deviants and political prisoners. “Under the direction of SS head, police drew up “Pink Lists”, and embarked on a vicious crackdown on homosexual men and women. 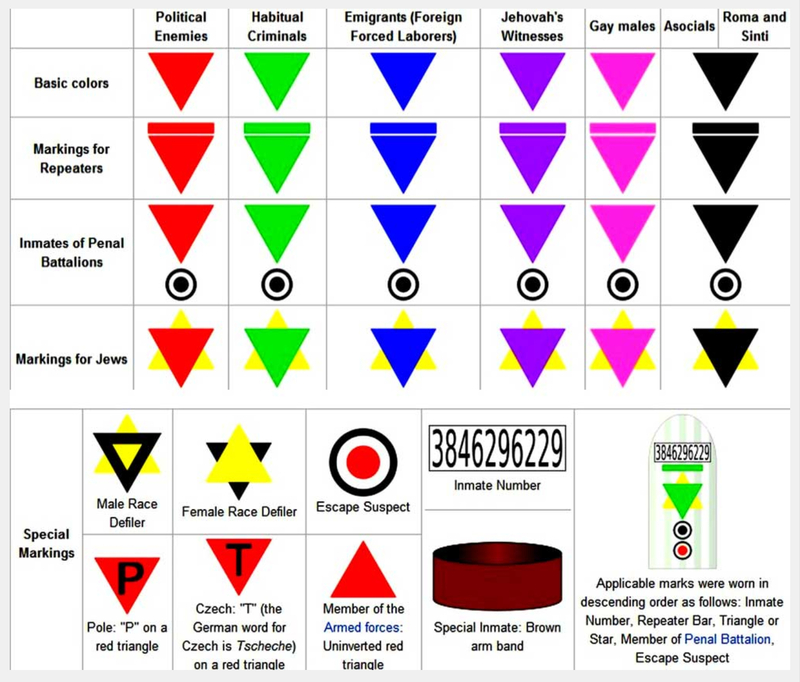 Many were sent to mental hospitals, others were castrated by court order, and 100,000 of these men were sent to concentration camps.The pink triangle (now a symbol of Gay Pride) was placed on the prisoners to mark that they were homosexuals. An estimated 55,000 were executed. 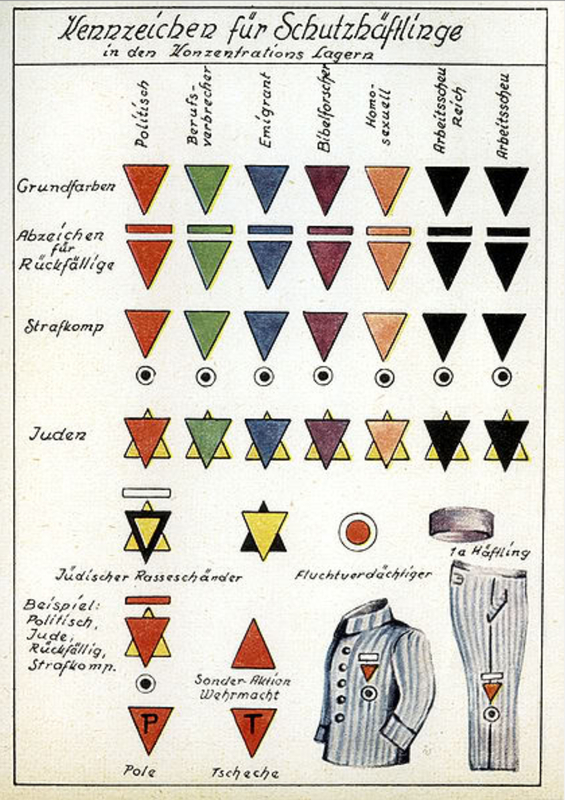 The vast majority of those forced to wear pink triangles didn’t survive. I don’t know what it’s like to have family members that have survived the horrors of Auschwitz. It’s something for which I have no frame of reference so I would never assume to put myself in the same category as those with a direct familial link to nazi persecution. But I can identify with those who were singled out for something that is innate, especially when I look around and see history repeating itself. I can honor forgotten victims. When we say “Never Again” we’ve got to mean it for everybody. It’s the only way to ensure that we are all safe from persecution because, if they come for one group they will come for yours too.